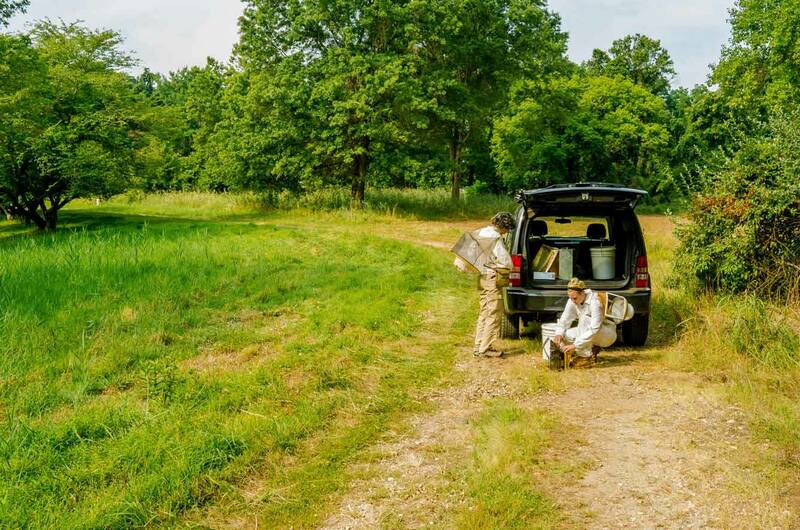 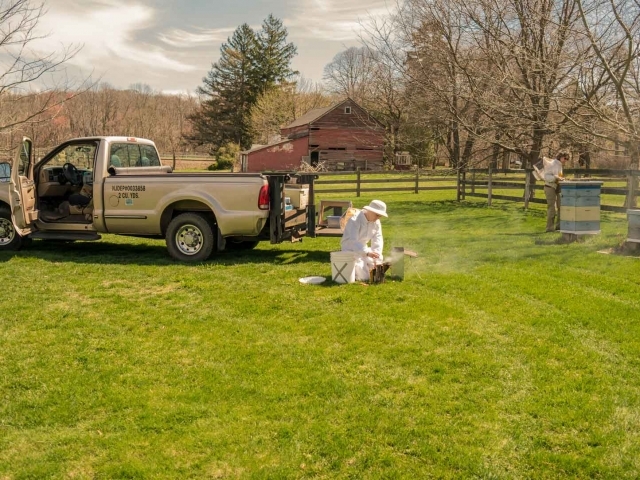 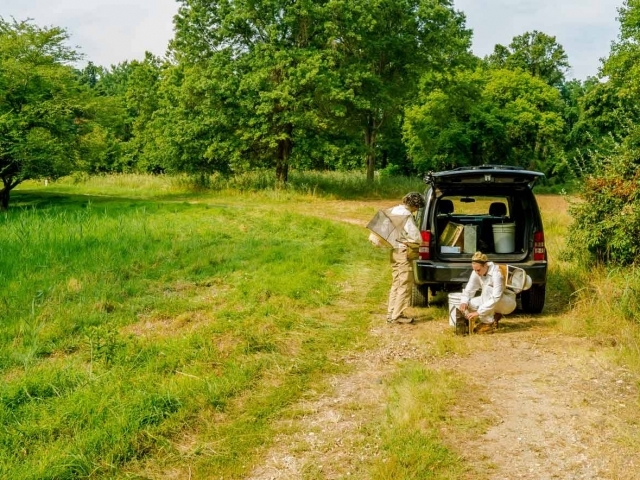 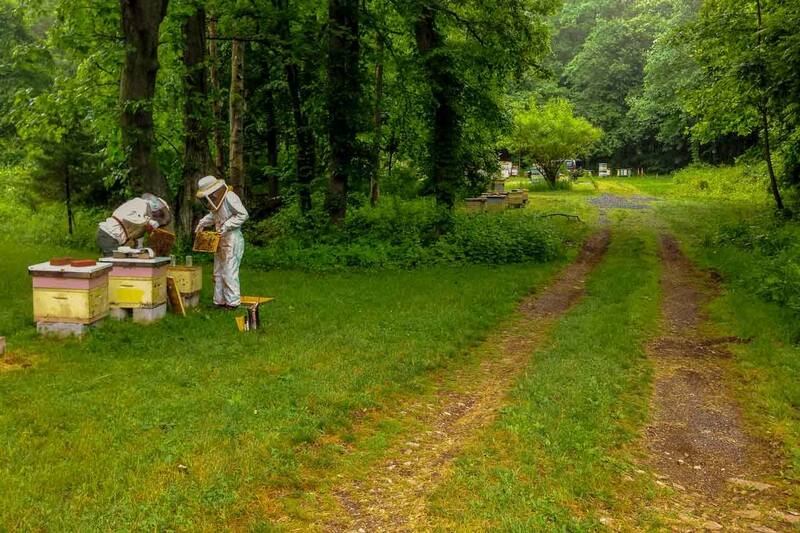 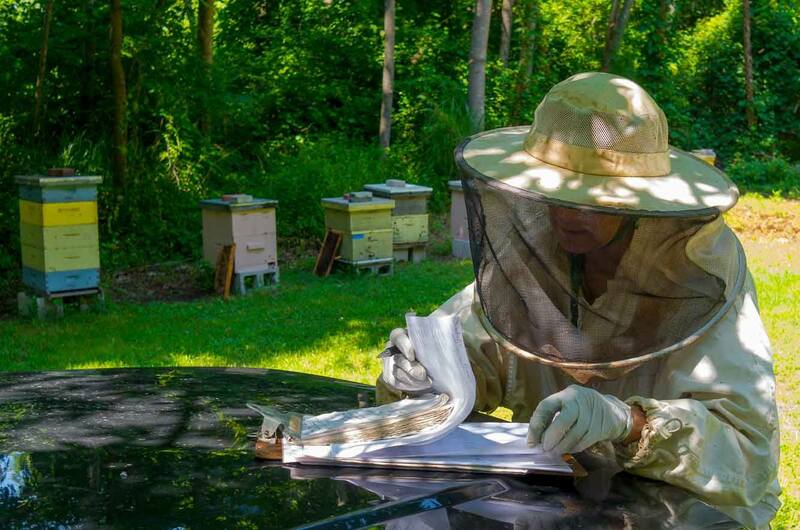 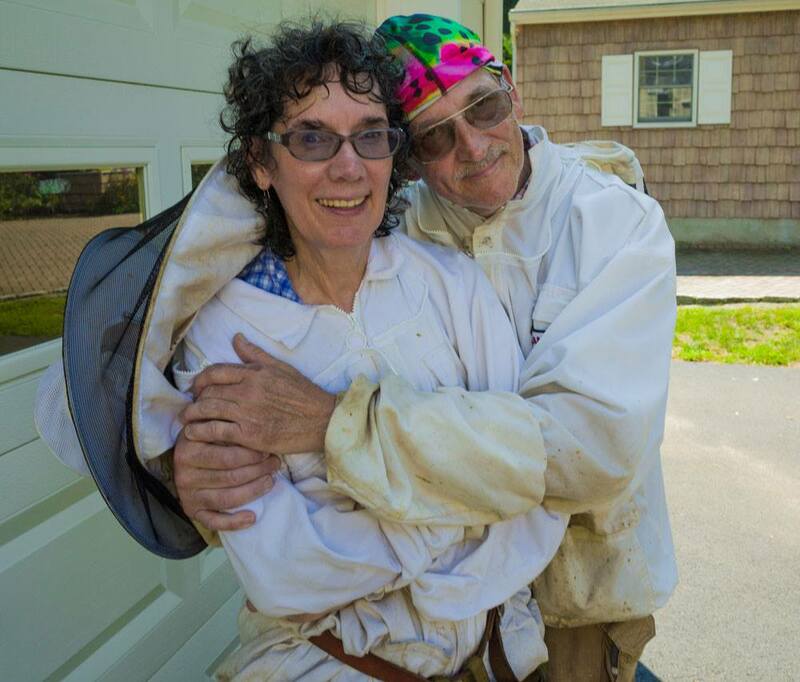 Please view our E&M Gold Beekeepers beekeeping photos which Ed has been taking for the last 22 years as our NJ Honey operation has grown. 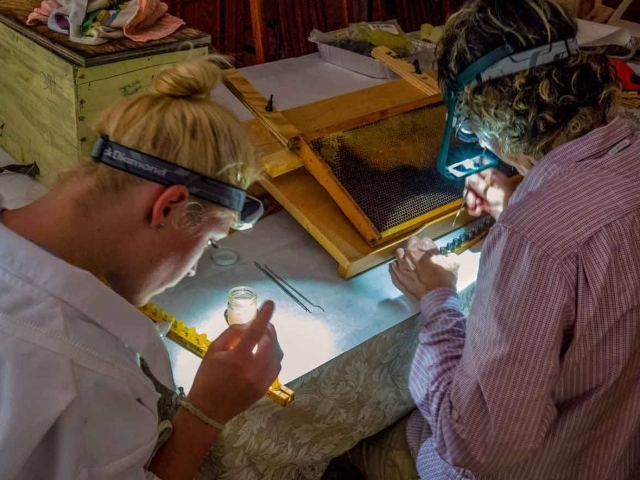 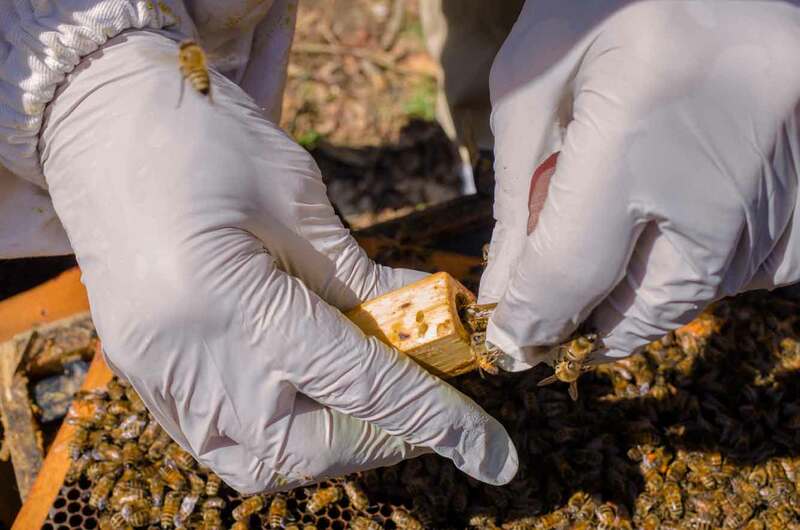 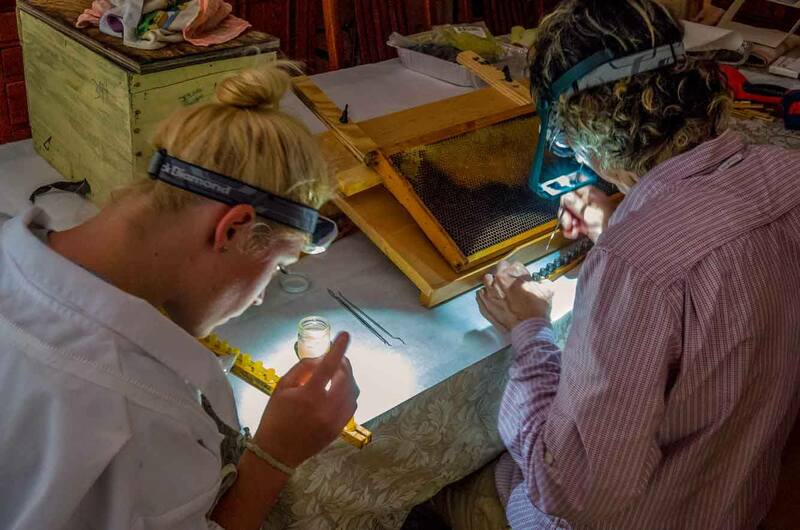 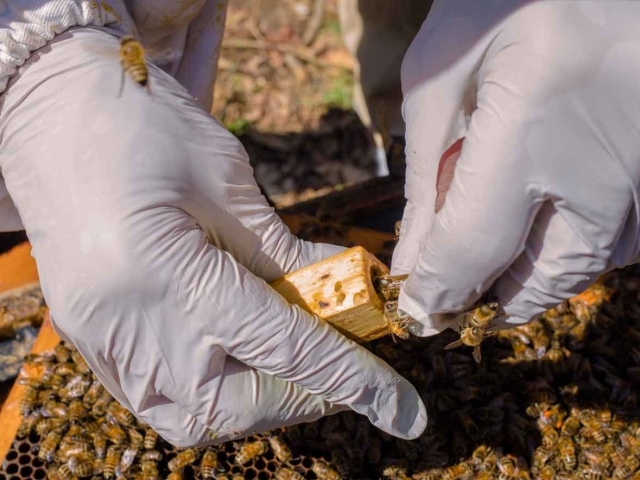 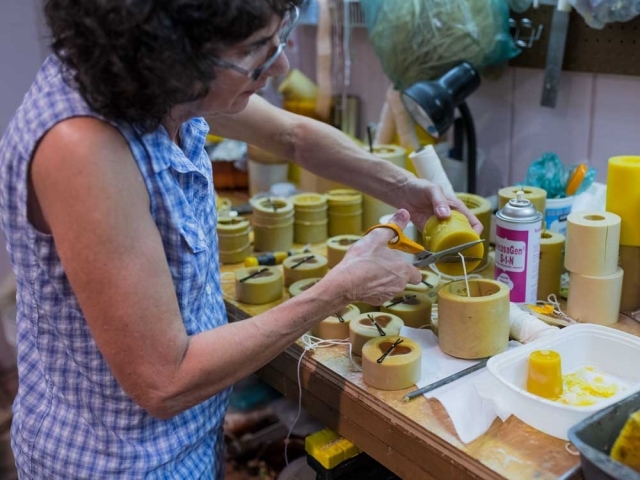 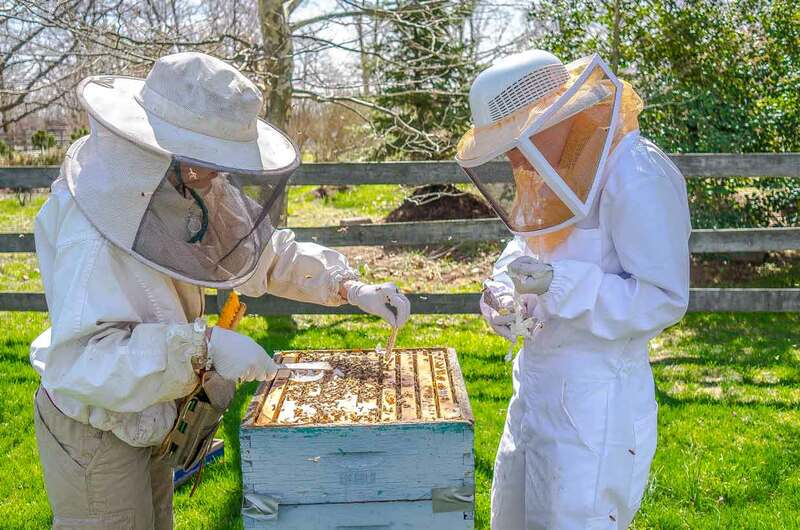 Our Beekeeping photo subjects range from grafting queens, inspecting hives, harvesting honey, extracting honey, moving bees, requeening hives, marking queens, filling honey jars and creating beeswax candles. 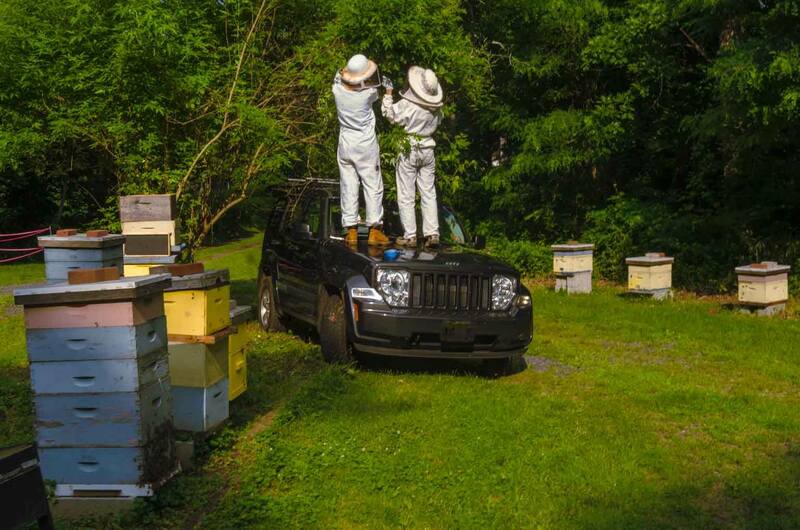 Over the years Ed has been taking beekeeping pictures with Sony, Leica, Ricoh, and Canon digital cameras. 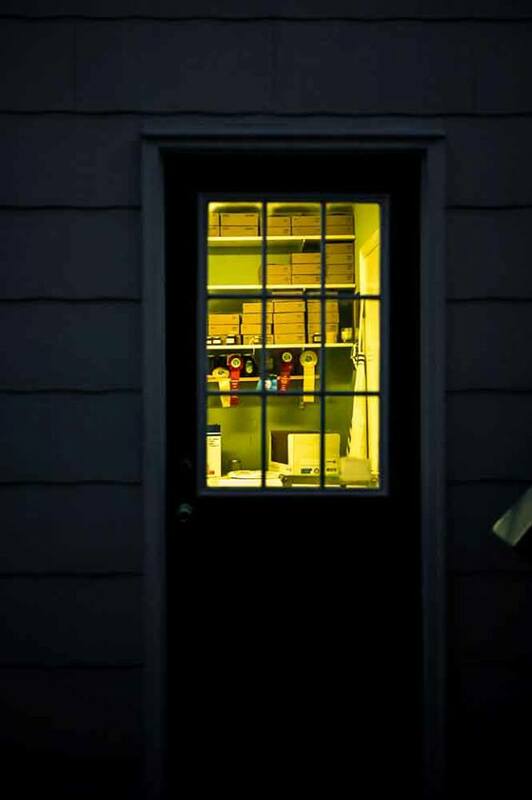 He is currently using a Nikon D850 with Sigma 150mm and Tamron 24-70mm lenses for product and macro photos. 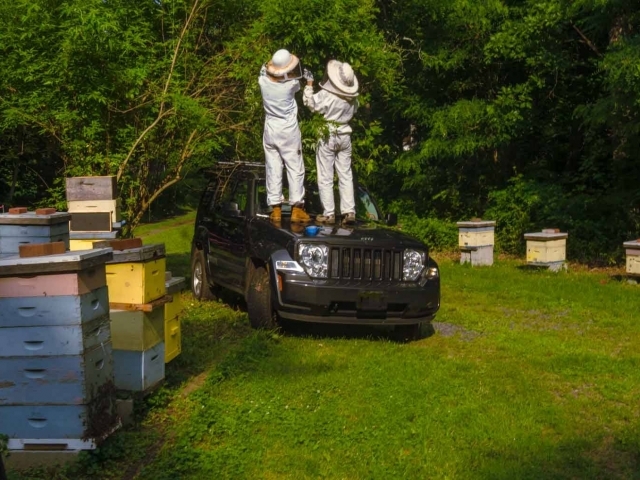 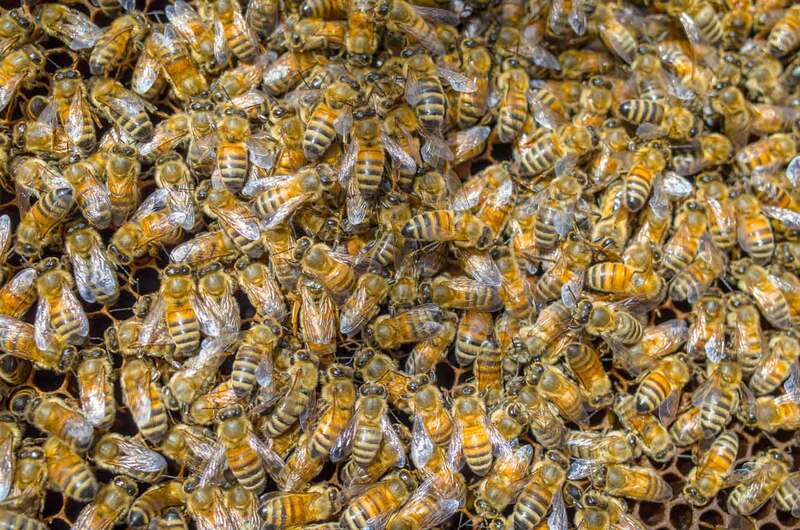 In addition he uses a Sigma 35mm for bee yard photos. 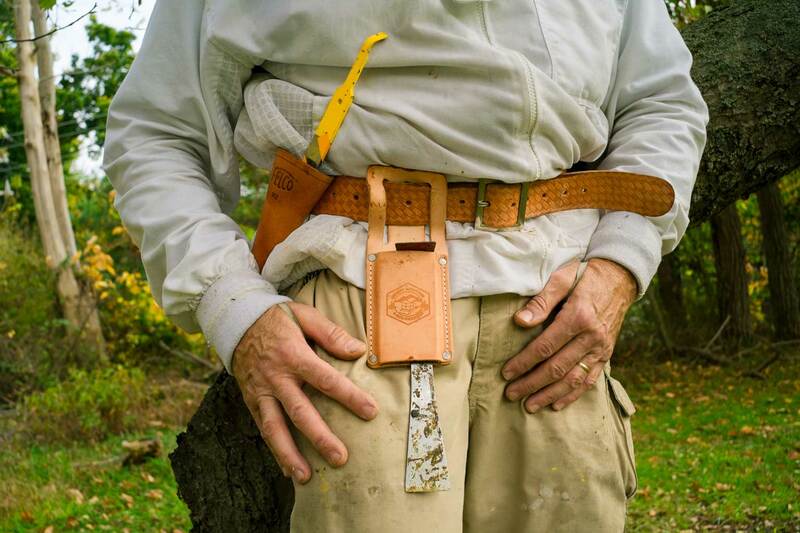 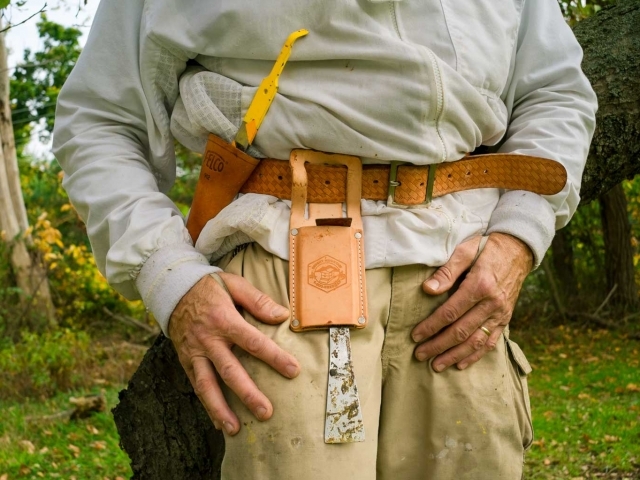 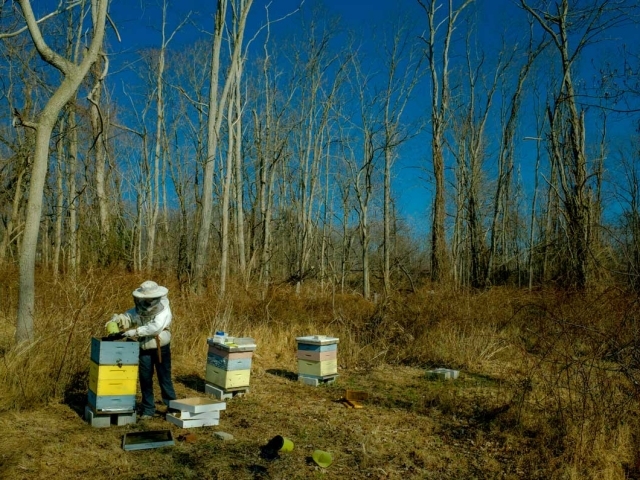 A Ricoh GR with a 28mm lens is always kept in his beekeeping suit. 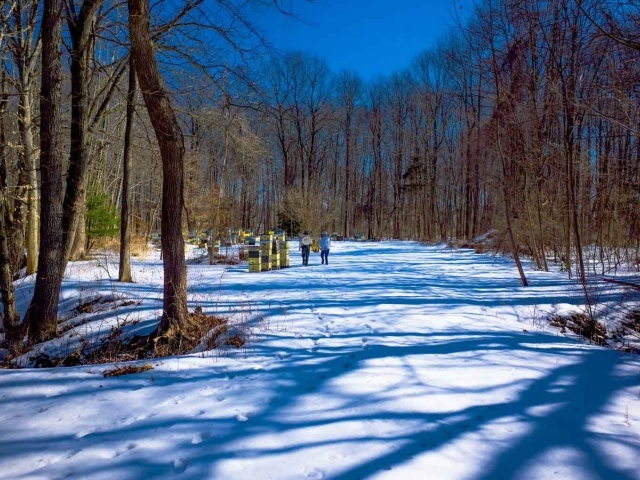 He uses Adobe Lightroom, Adobe Bridge and Adobe Photoshop for his post processing. 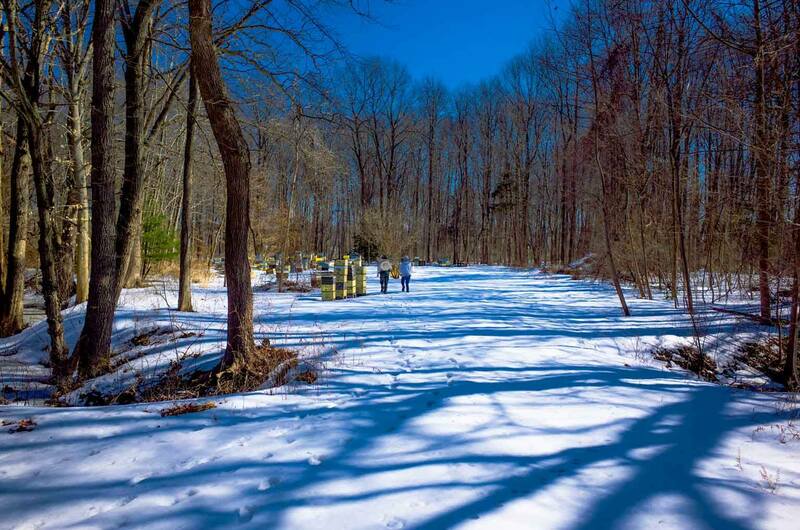 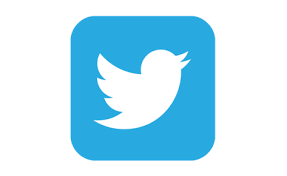 We live Central Jersey in Tinton Falls, NJ which is located between the towns of Asbury Park and Red Bank in Monmouth County. 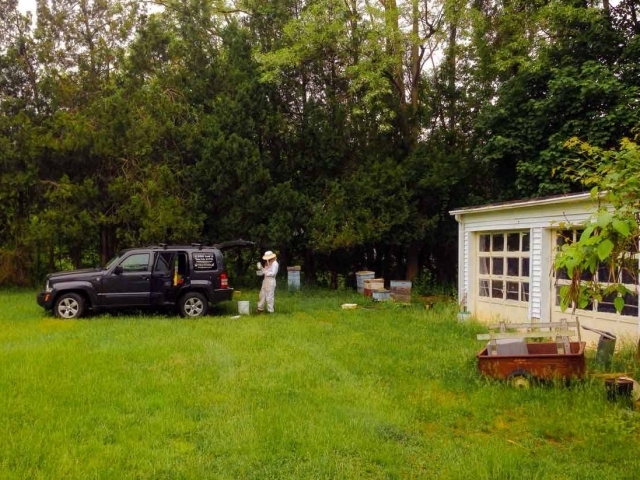 We live in a county where there is 40,000 agriculture and woodland acres. 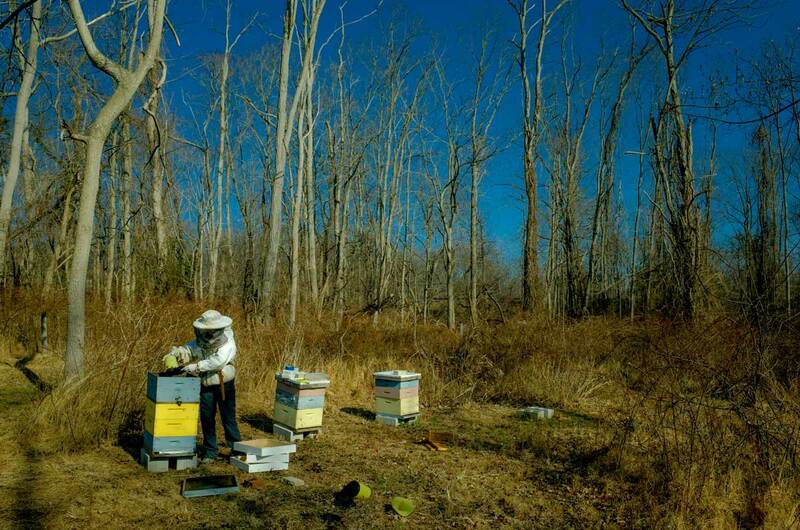 And it is in this area that we keep and manage 100 beehives. 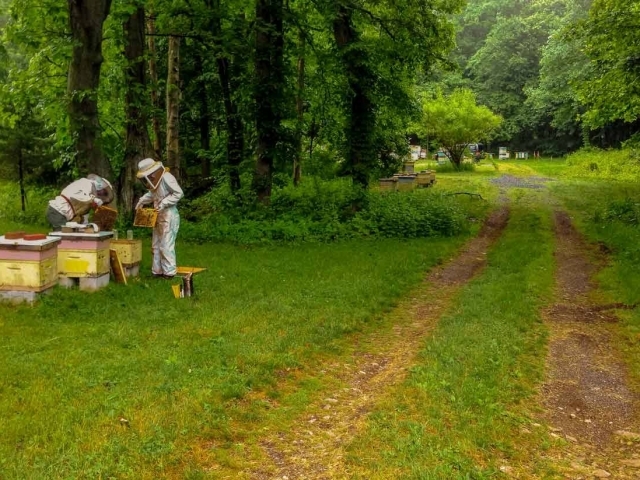 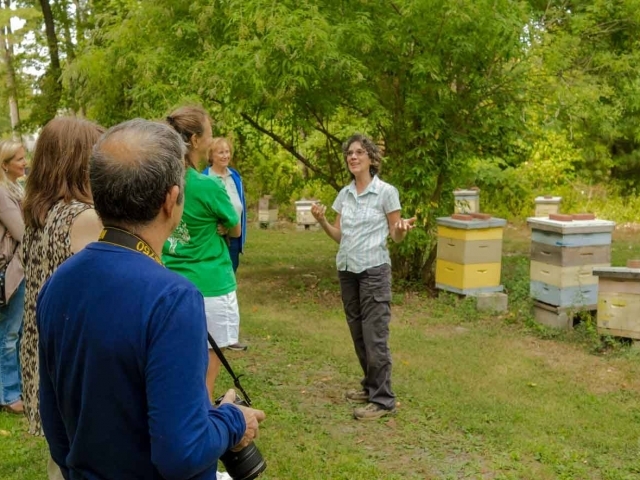 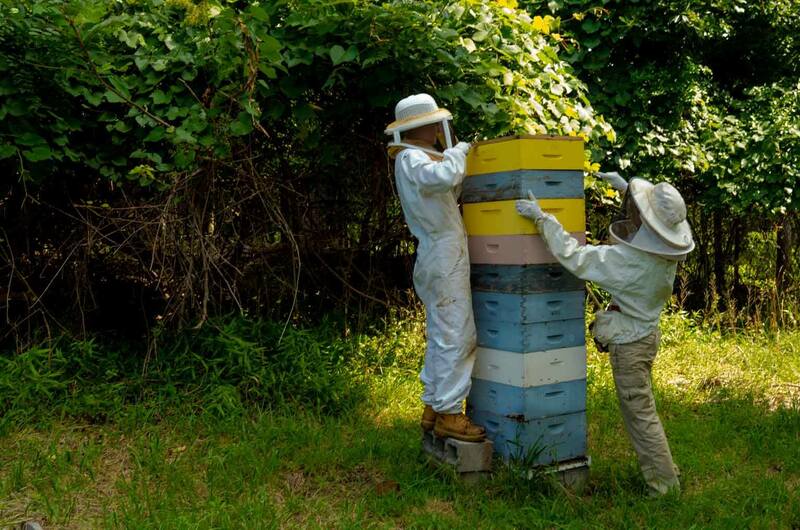 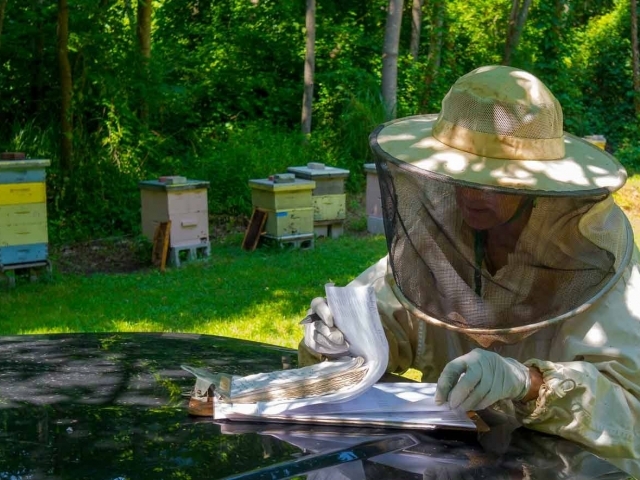 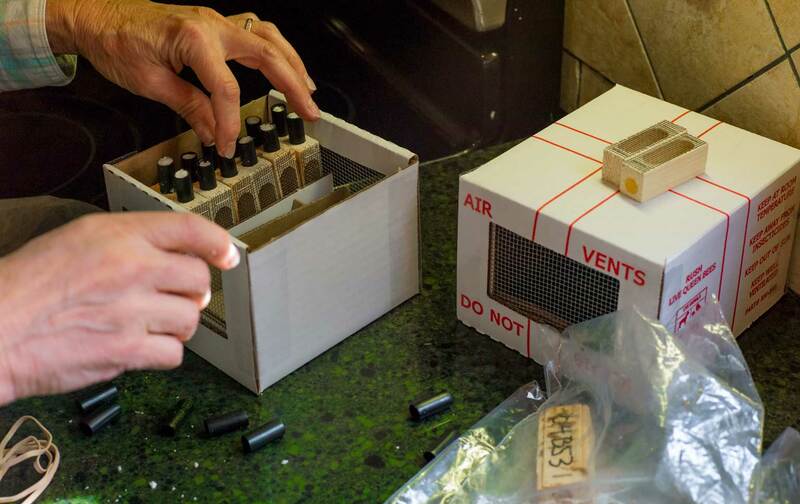 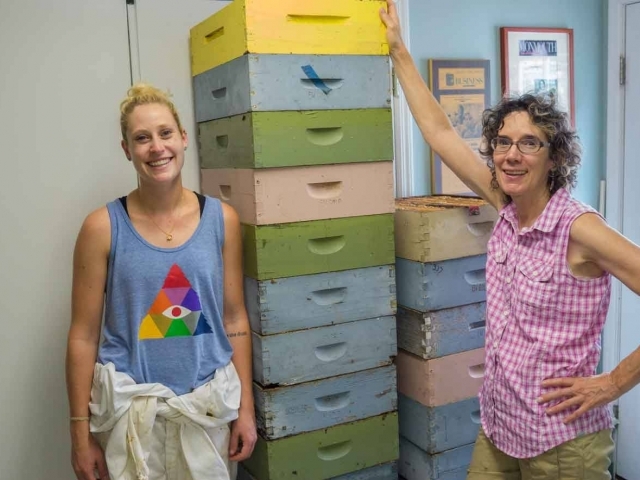 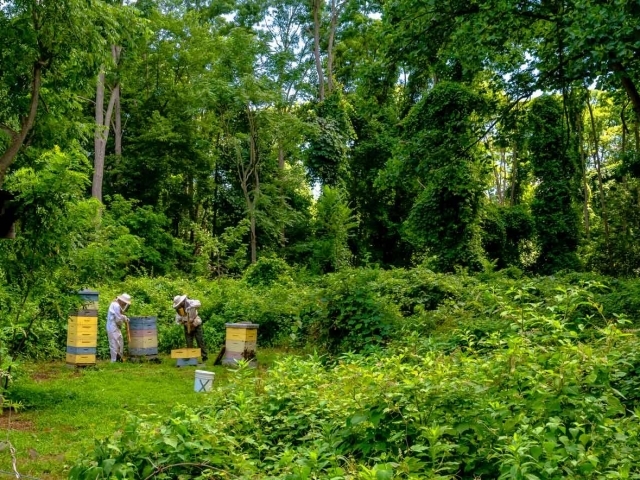 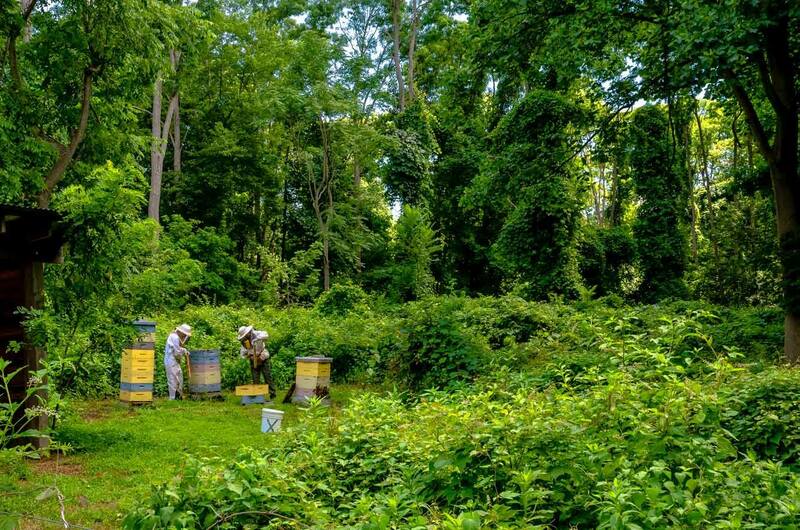 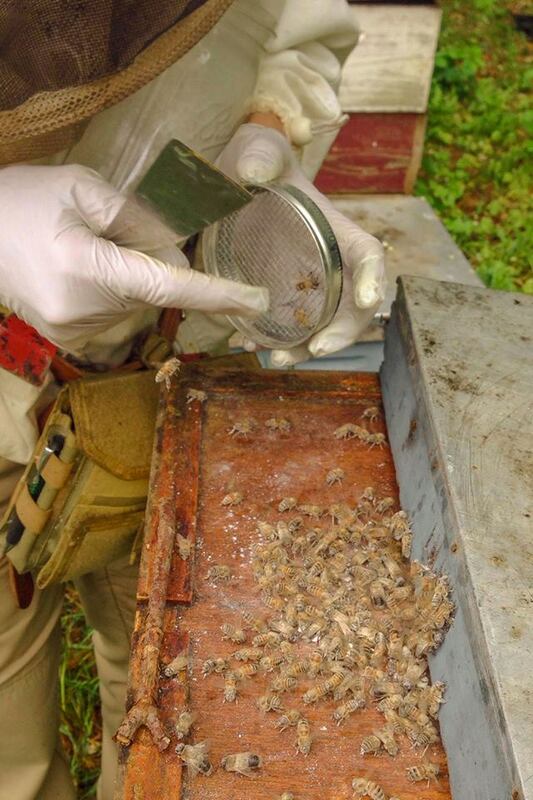 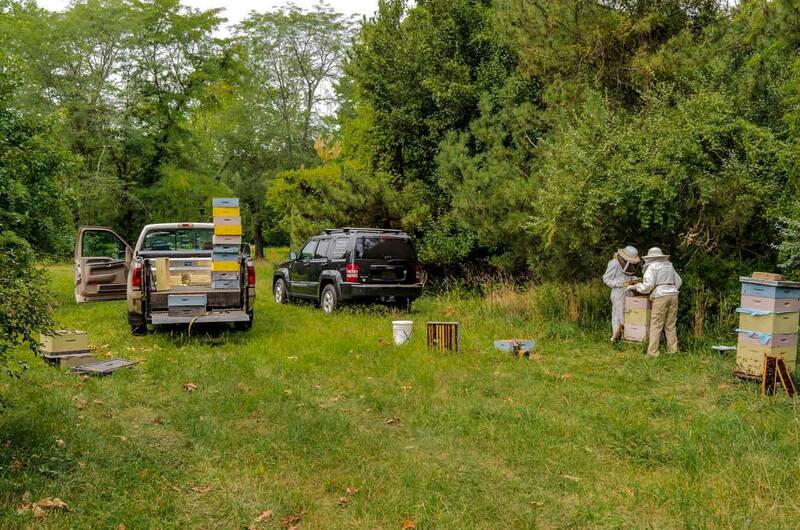 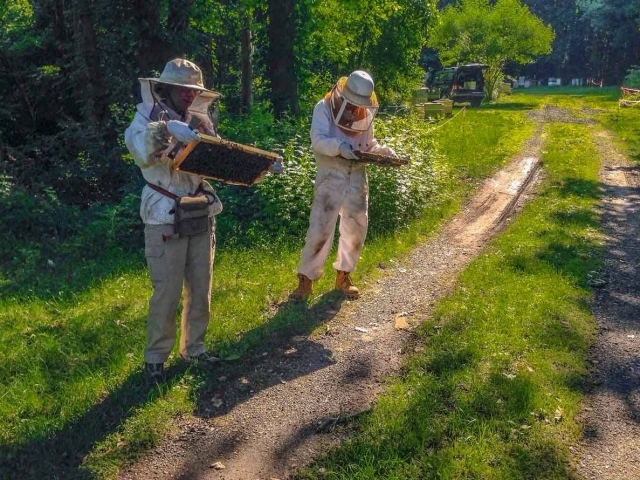 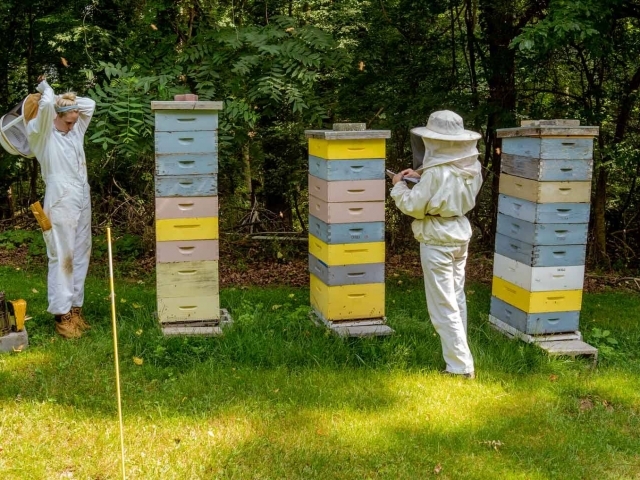 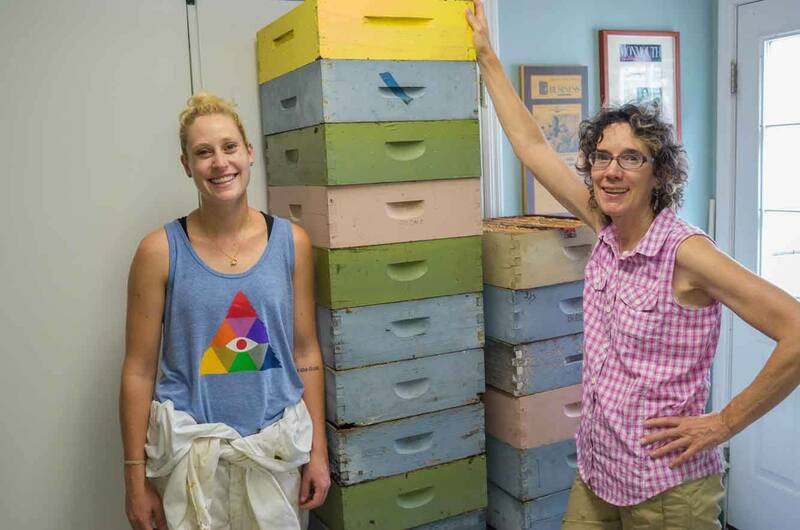 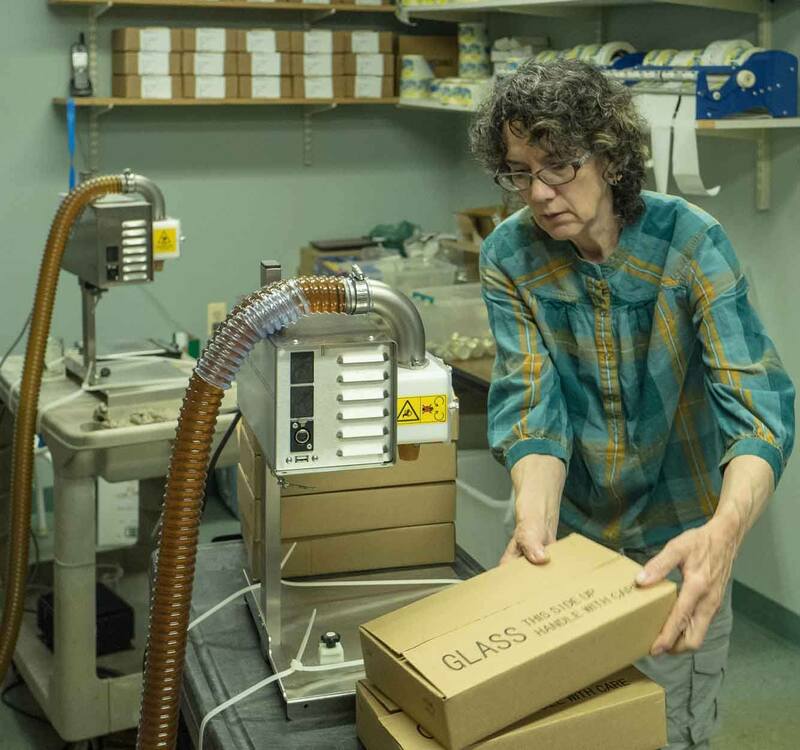 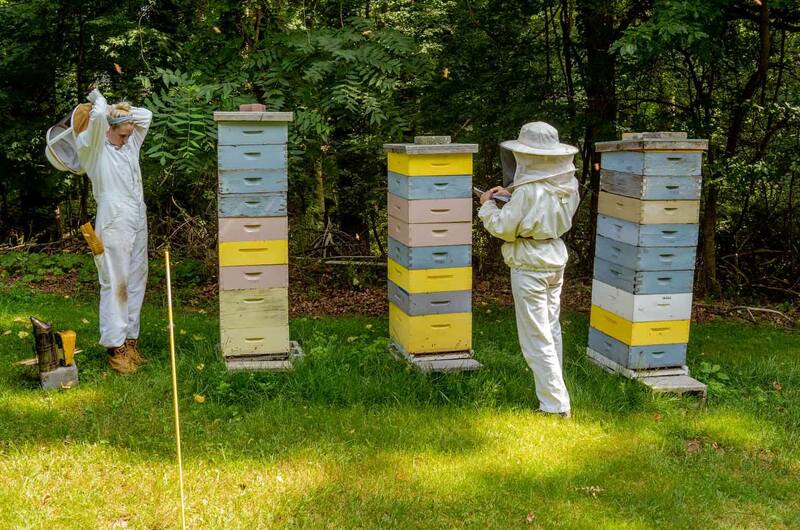 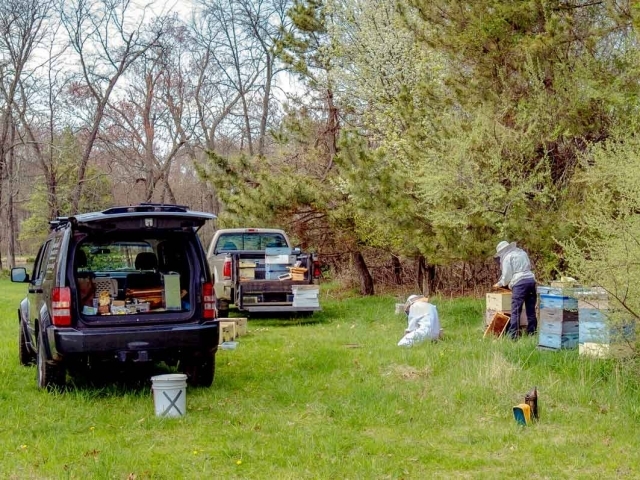 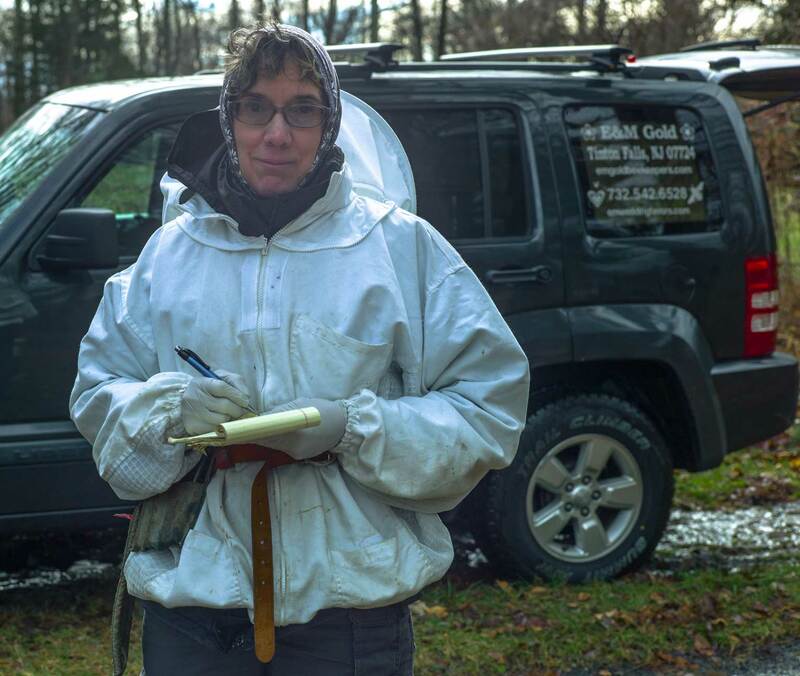 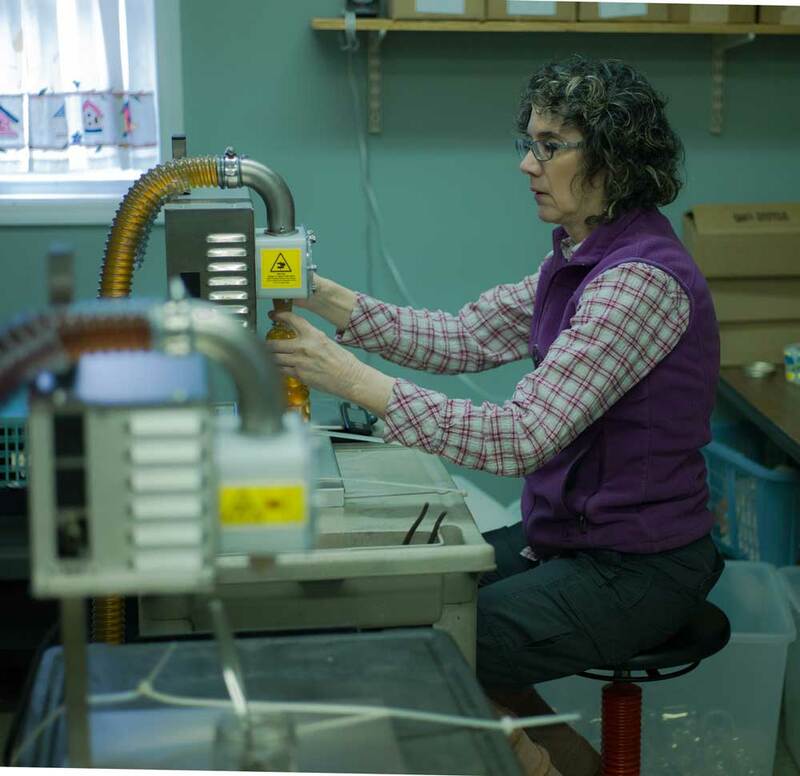 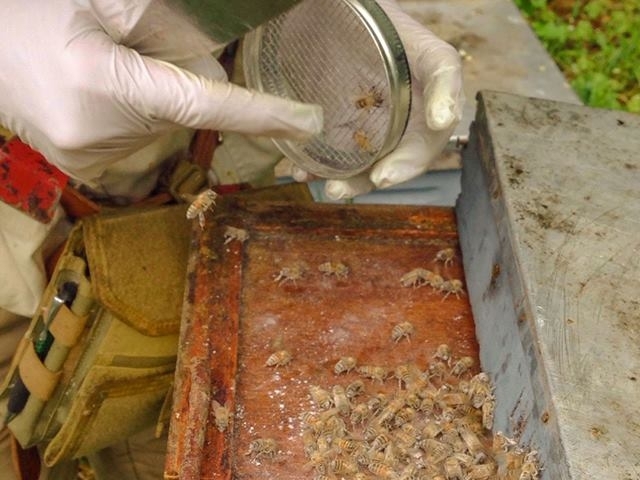 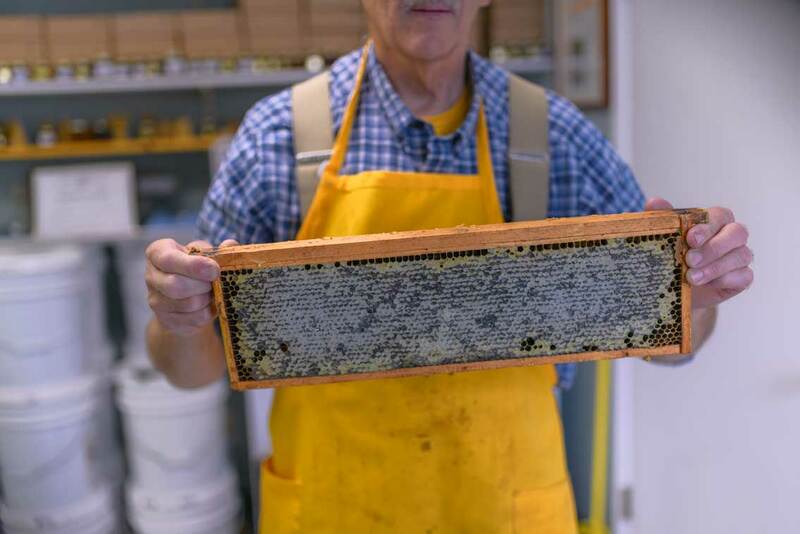 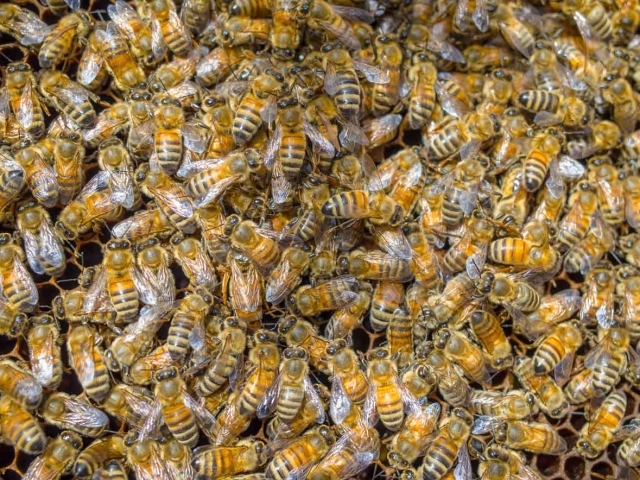 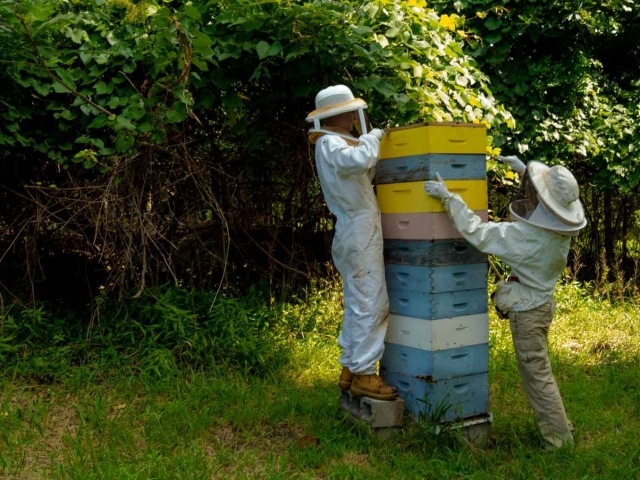 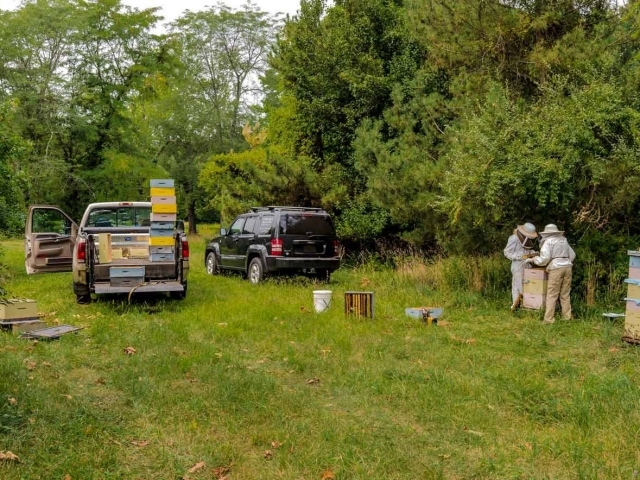 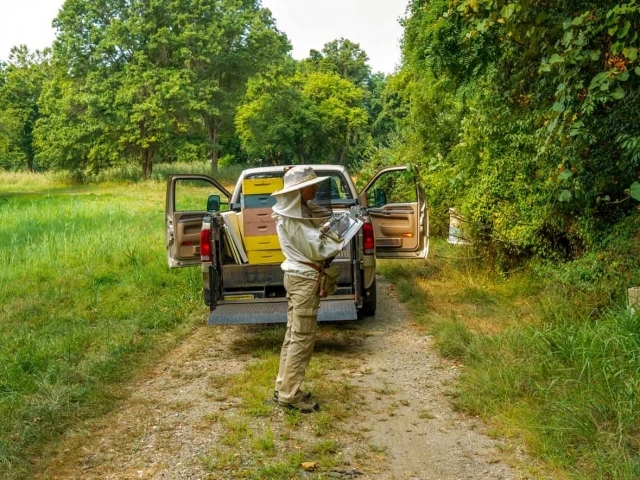 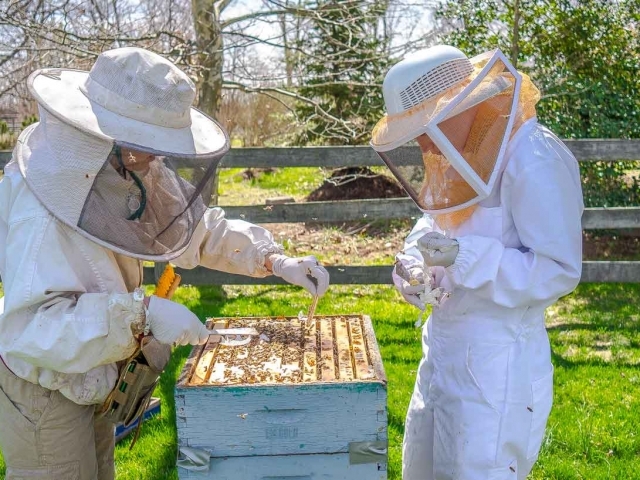 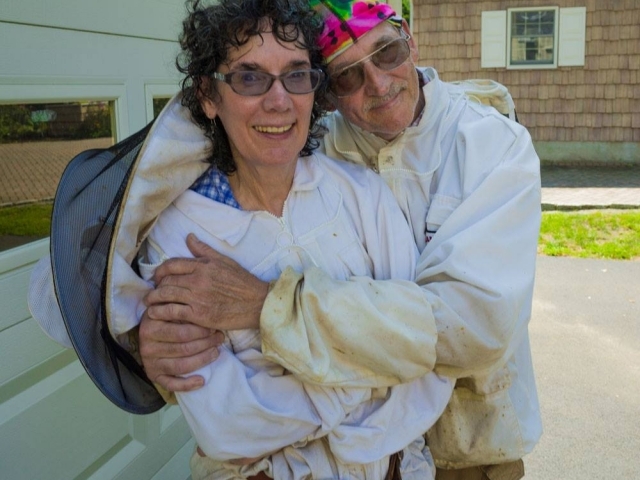 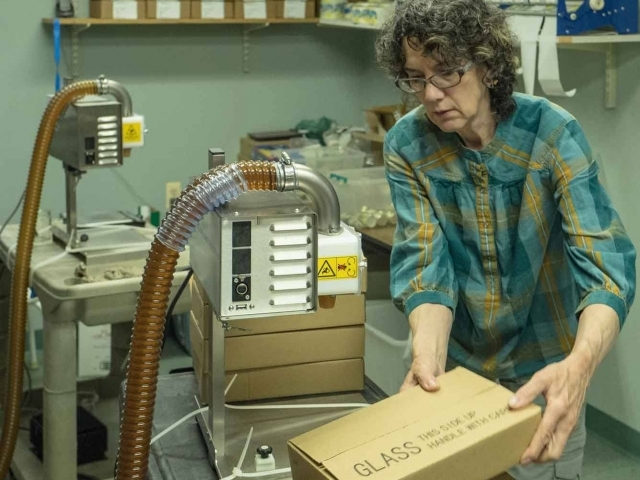 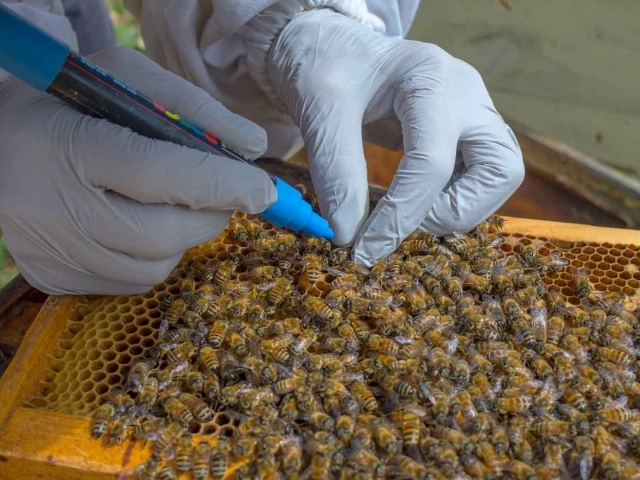 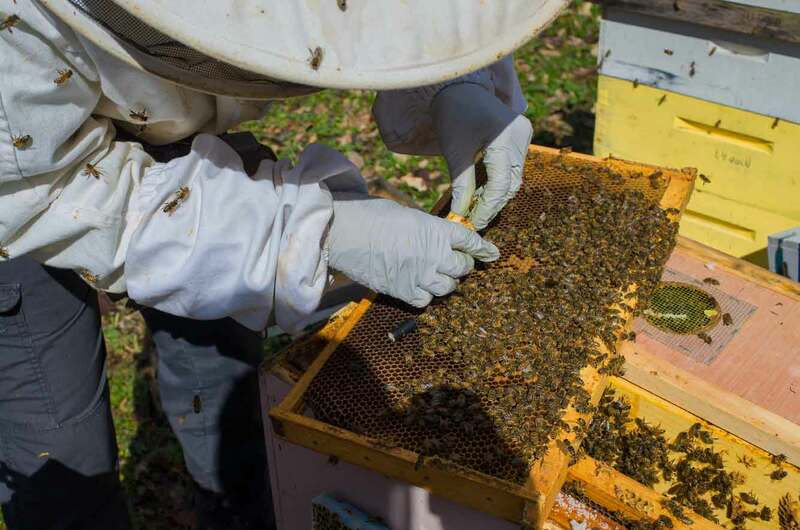 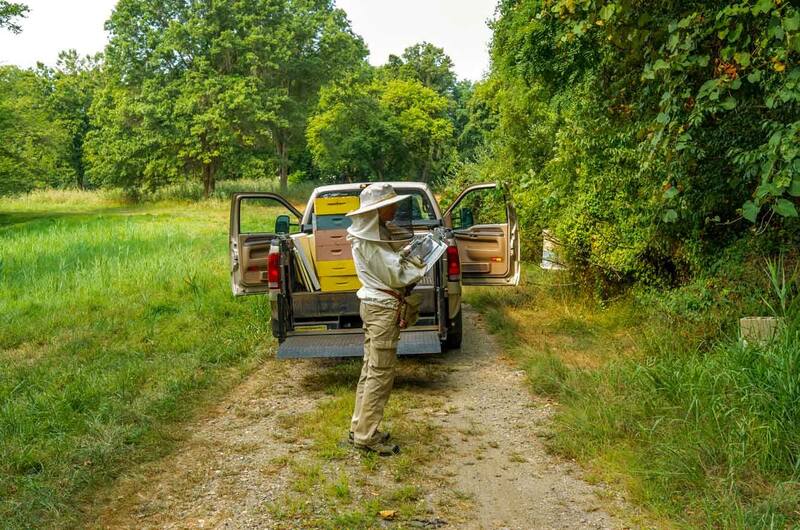 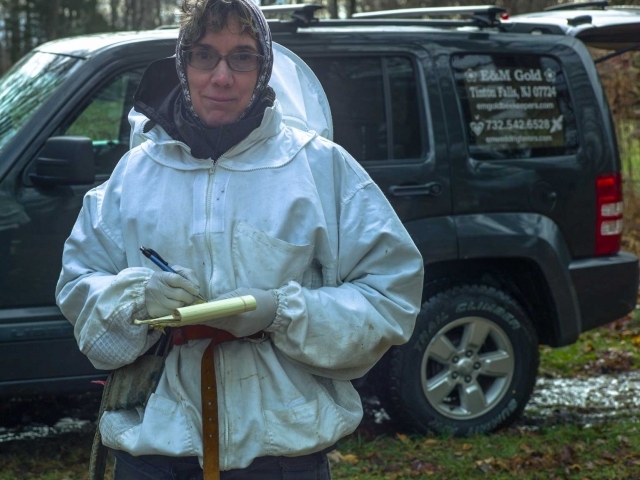 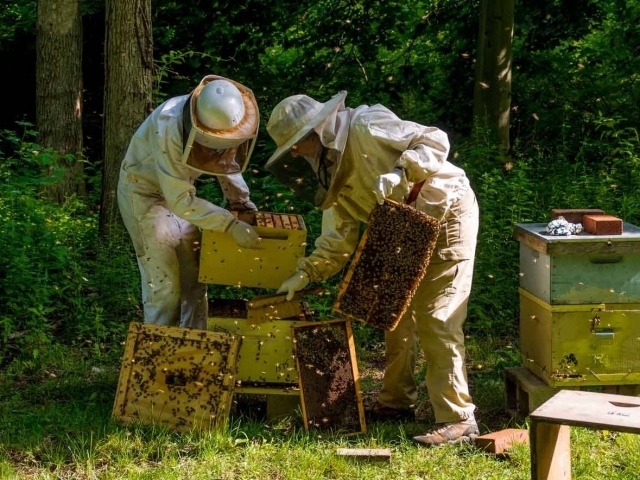 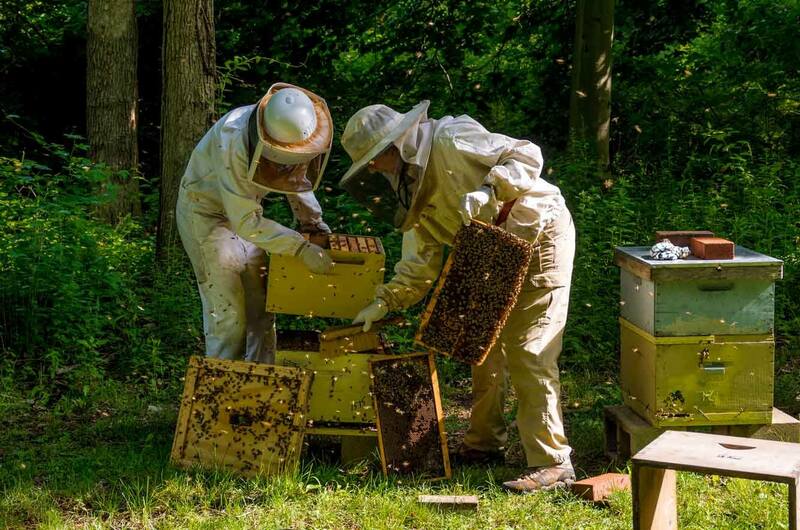 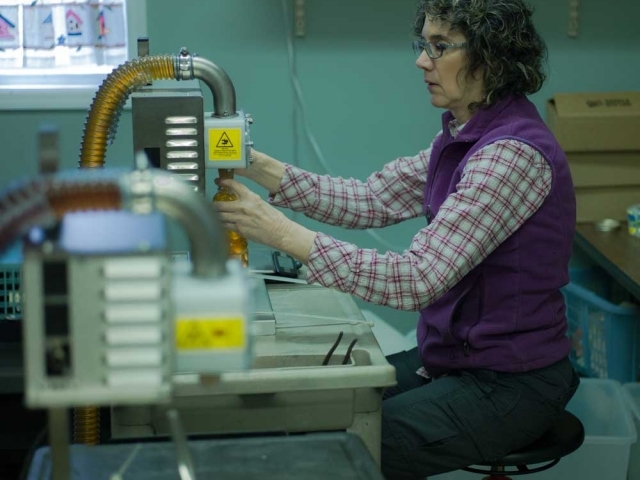 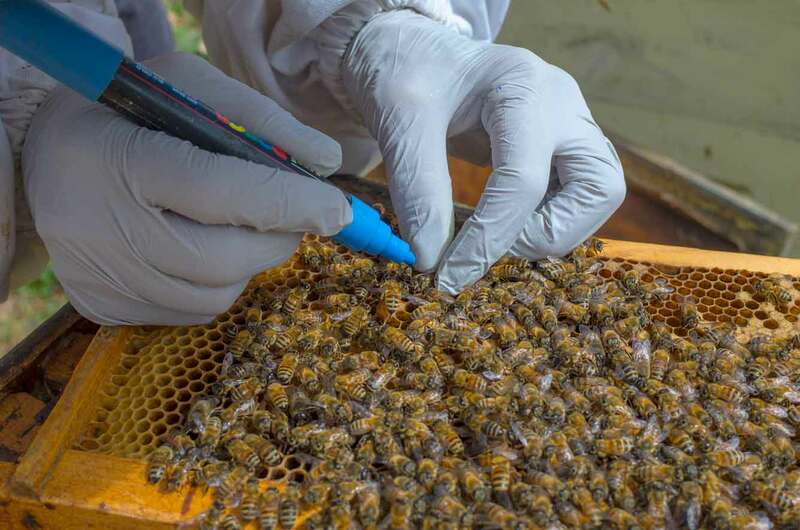 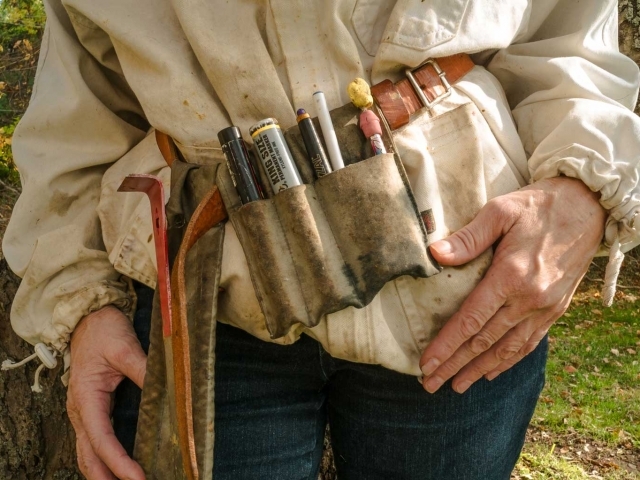 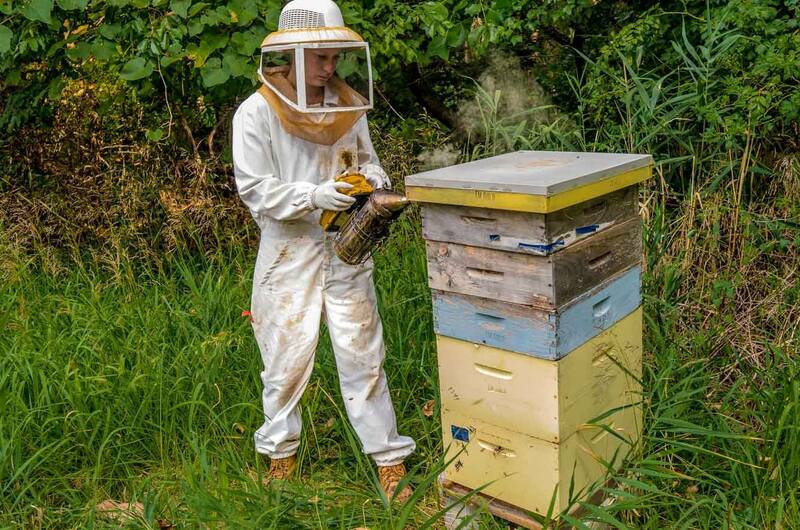 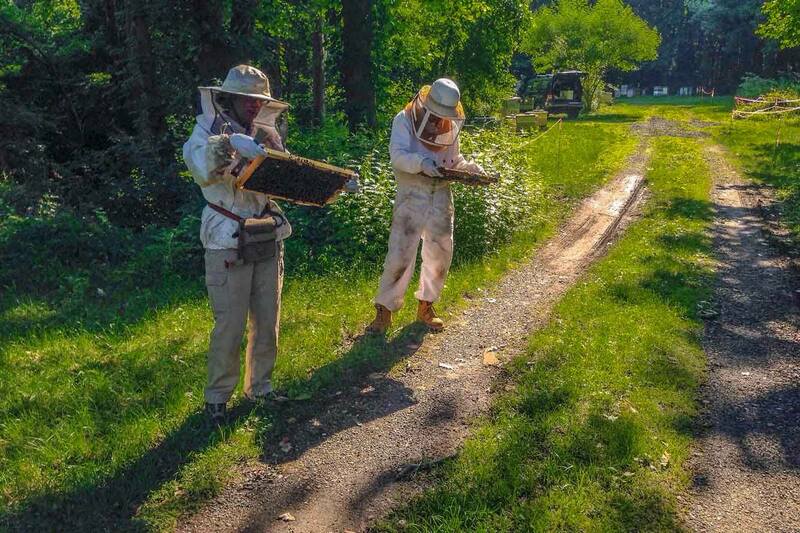 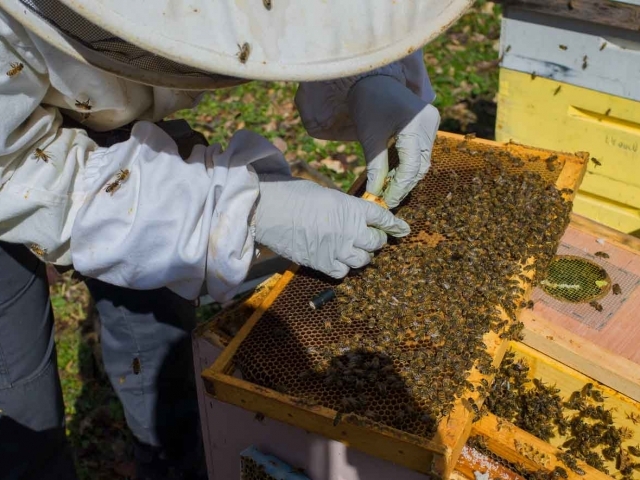 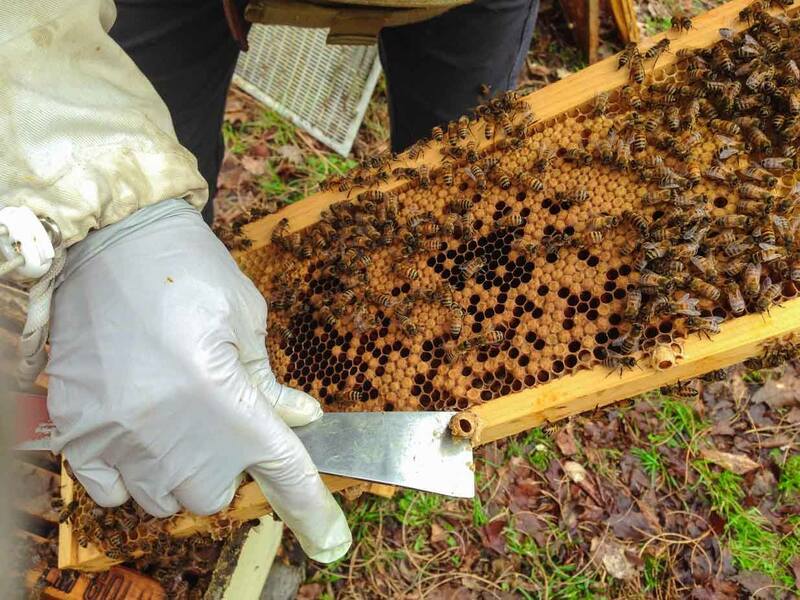 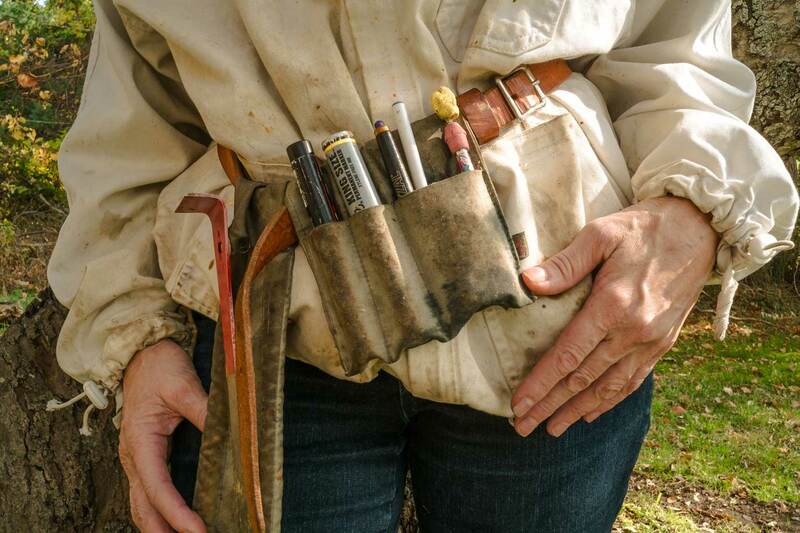 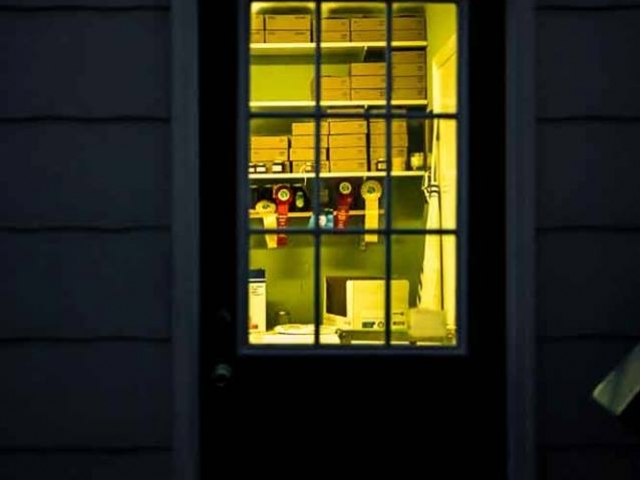 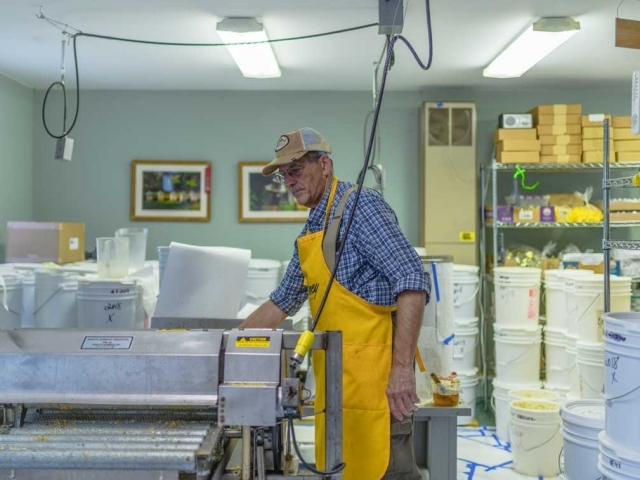 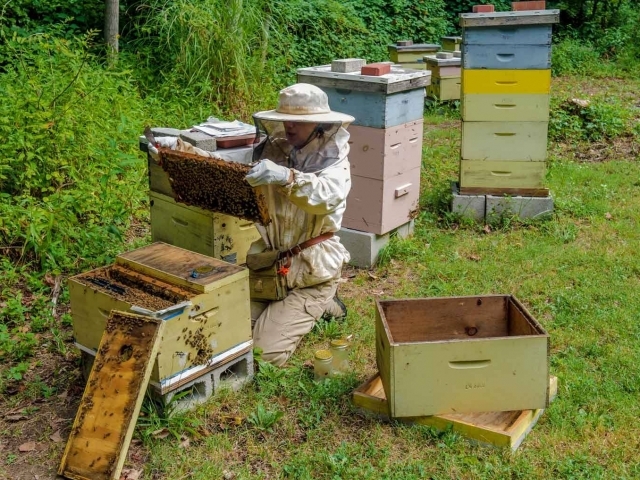 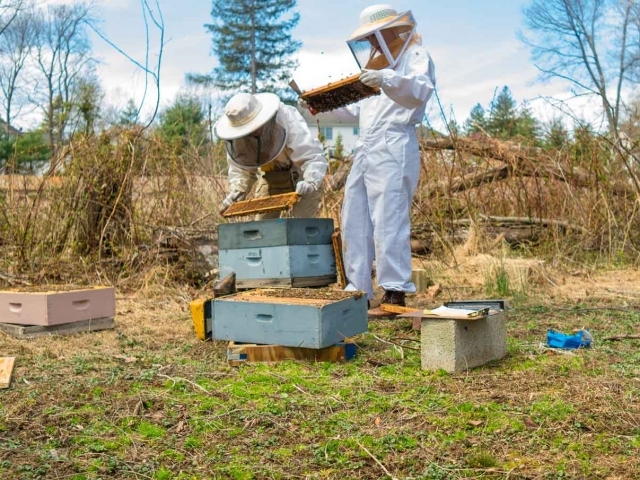 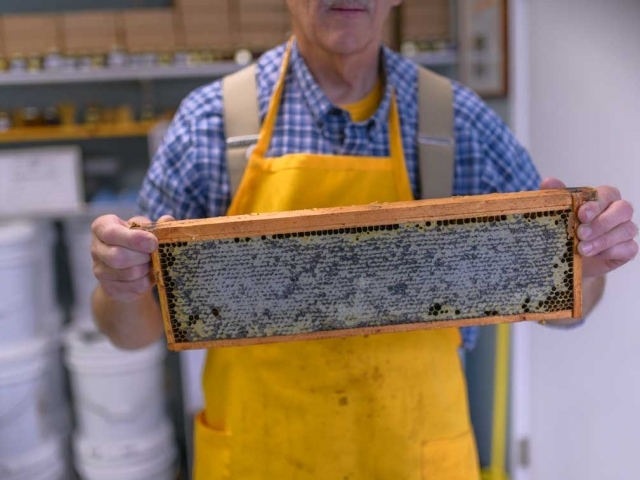 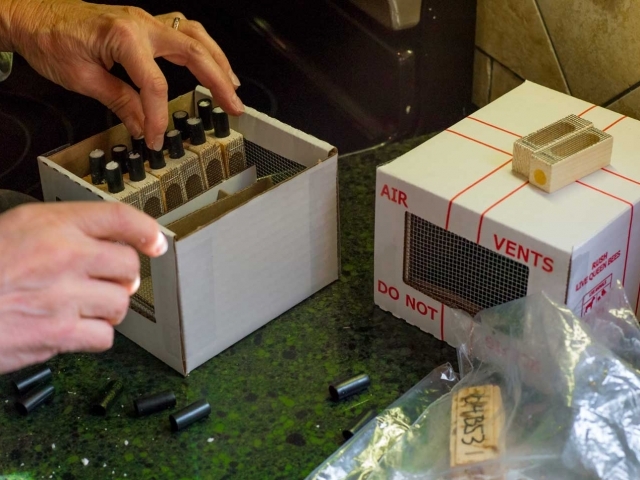 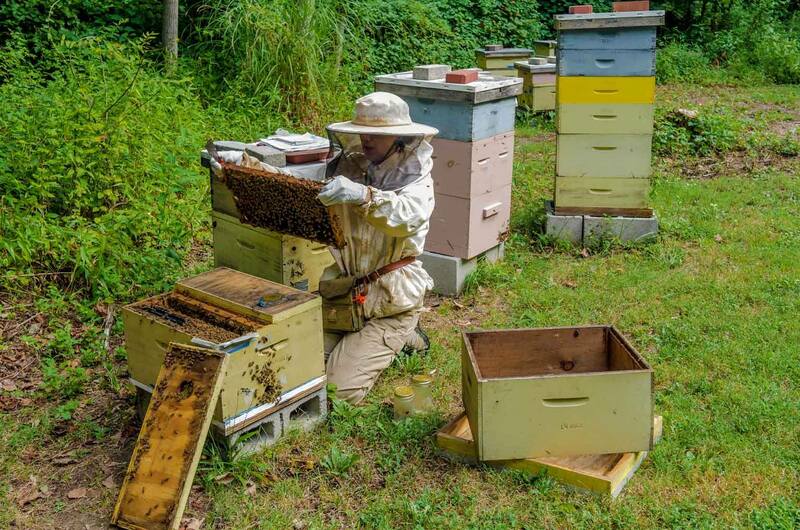 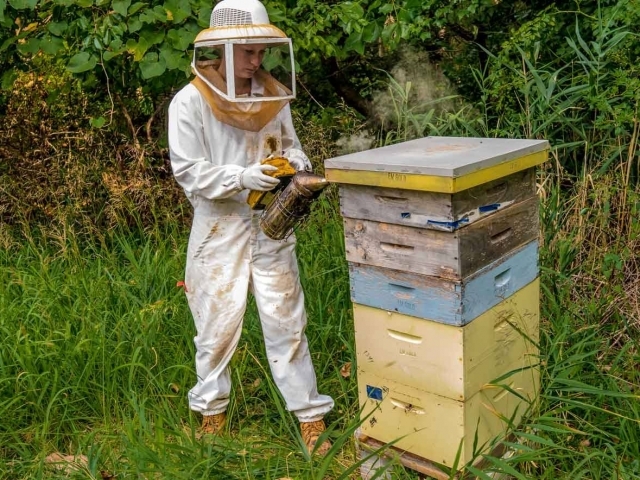 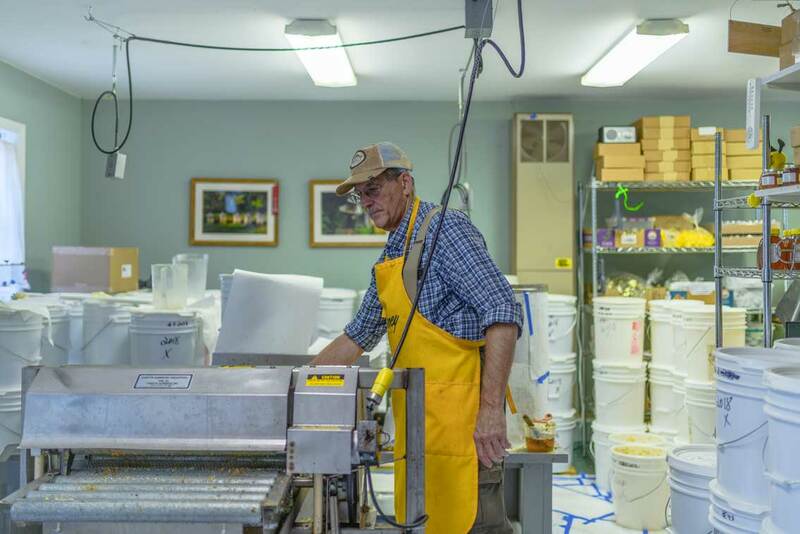 We have been keeping and managing Honeybees for twenty two years, just about the same number of years we have lived in Tinton Falls. 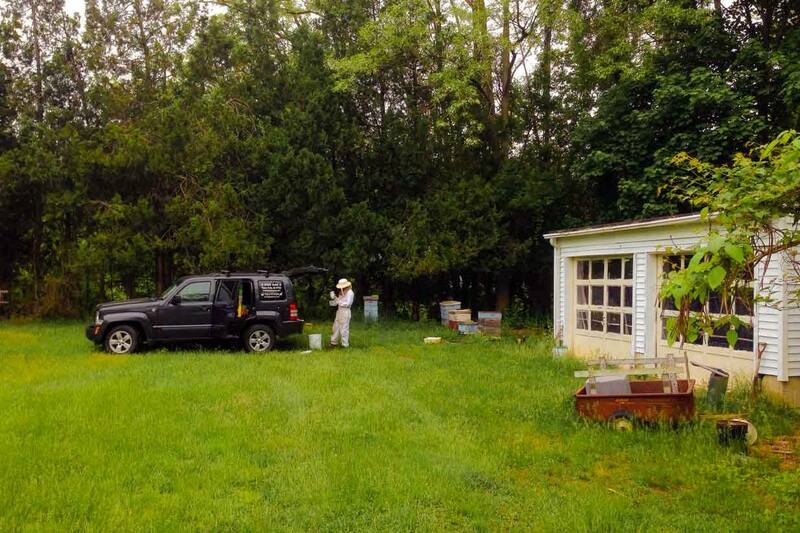 Since getting our 1st beehive we have grown to a full time small Beekeeping business of 100 beehives. 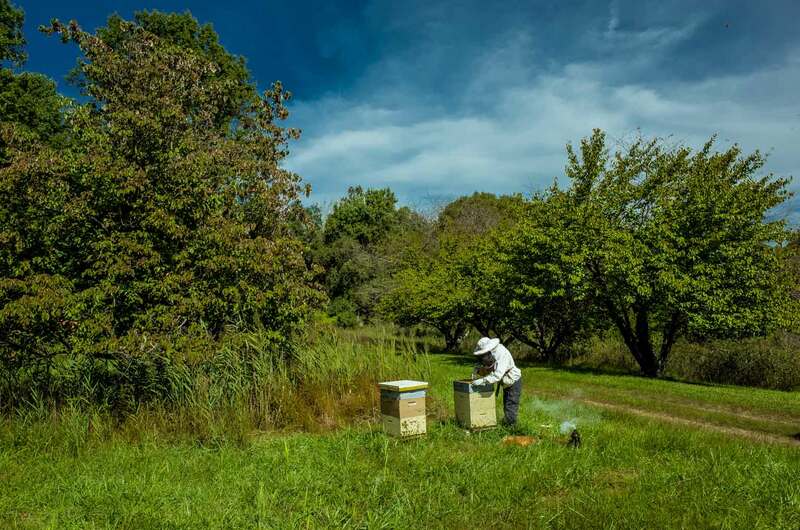 We hope your enjoy our E&M Gold Beekeepers Beekeeping Photographs!